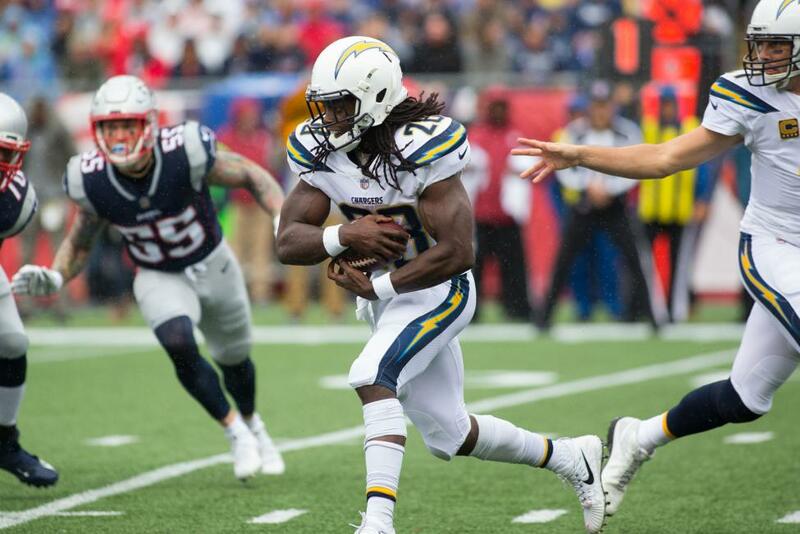 Running back Melvin Gordon was a full participant in practice on Friday, but the Los Angeles Chargers listed him as questionable for Sunday's game against the Seattle Seahawks because of a hamstring injury. Gordon missed the Chargers' victory over the Tennessee Titans at Wembley Stadium in London two weeks ago and had time to heal during the bye week. "We'll see," Chargers head coach Anthony Lynn said, according to ESPN. "I don't want to speak for Melvin, but if he's feeling well, I know he wants to play." Gordon tested his hamstring before the game in London, but knew he couldn't play. "You get all the way out there, you want to play in front of those fans," Gordon said. "I was excited. I've been wanting to play in London for a while." As for this week, Gordon sounded like Lynn when he said: "We'll see. ... I'm happy with the opportunity to go back out there this week [for practice] and make it happen again."